Preschool Canada Early Learning Academy was established in 2014. We have continued to rapidly grow as a franchise nationwide. Our focus has always been providing a safe and nurturing environment where we support each family as individuals and all children are welcome. Preschool Canada offers certified professionals in the field on Early Childhood Education and beyond to work with the children in our care and to provide a stimulating, up to ministry standards program. We look forward to meeting your family at one of our locations! Preschool Canada was created to provide a safe developmentally appropriate environment for preschool & school age children. Our focus is to provide stimulating early education experience which promotes each child’s social/emotional, physical and cognitive development. Our goal is to strengthen the bridge between your work and family life, by creating a special place that supports them both. Our programs meet the intellectual, moral, social, emotional, and physical needs of each child. Our programs are carefully planned by our trained teachers and are implemented to help support children during their learning process. We follow the “How does learning Happen” document from the Ministry of Education and have embedded this document into our daily practices. 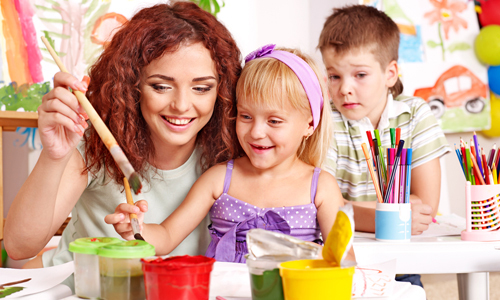 Preschool Canada offers a wide variety of programs. Our goal is to be able to provide exceptional and unique programs to support the children within our centres. 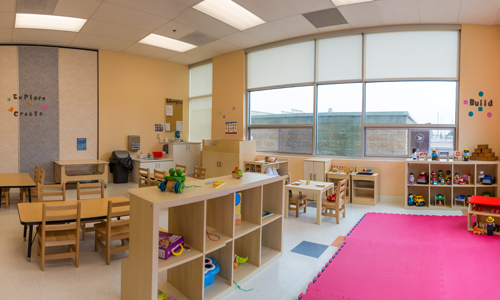 Each Preschool Canada centre has a speech clinic room with a Speech Pathologist. We are always looking for ways to support our families. We want you to be a part of our success. Preschool Canada has multiple revenue streams, which allow Owners/Operator to join hands with other successful business models all under one roof. Everyone benefits from this type of partnership, especially the children. Be sure to check our Franchise section for more information. We offer Emergent Curriculum where both adults and children have input and make decisions. Programing and Curriculum is never recycled, and always in line with the Ministry of Education guidelines. 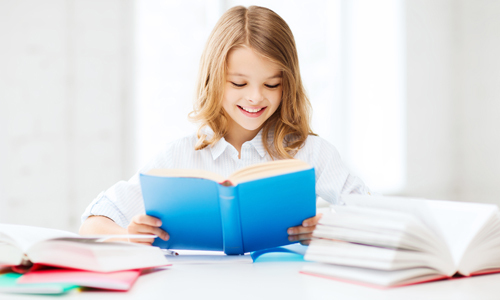 We offer speech clinic with a certified speech pathologist at each location. Our staff is well-educated, highly qualified team of motivated professionals, making our centers second to none. We offer well-designed learning environment for students. Our team of designers works hand in hand with Canada’s top education suppliers. Preschool Canada is a member of The Child Development Resource Connection. "We entrusted Preschool Canada with the care of our little one with a high level of anxiety almost a year ago. We were quickly convinced it was the best place for her after meeting the Director and teachers. The level of care has been exceptional and consistent throughout our time here. Our daughter loves going to school, is quite challenged and has learned to be very independent. They respect our specific needs and have accommodated all of our requests with kindness and willingness." "Preschool Canada has turned my 15 month old Toddler into a 3.5 year old Preschooler who is ready for Kindergarten! My son walked into the daycare on his tiny little legs at 15 months old leaving his Mommy for the first time. The staff in the toddler room made him feel at home. He was welcomed with open arms and nurtured just as I would nurture him myself. He learned to leave me, he learned independence, but most of all he learned who he was. As the moves through the months, then years with Preschool Canada, Narayan learned how to be a friend, a helper, a problem solver and a listener. He learned to follow routine, he learned to embrace diversity, he learned to love others and respect others. My curious, energetic little boy whom I cherish has learned all his shapes, colours, numbers and letters. As a mother of 3, it is hard to find time to teach him at home, but Preschool Canada helped me with this. The staff in the preschool room worked diligently to ensure he was ready for Kindergarten, and ready he is! My little man will leave this place he has learned to call home, ready to go to Big Boy School. No words can express my gratitude to the staff at Preschool Canada for their kindness, caring, thoughtfulness and for loving and teaching my little boy!" "My daughter, started at Preschool Canada Brampton East when she turned 1. In the past year we have seen her flourish socially, independently, emotionally and academically. The management and owners have always been very welcoming understanding, supportive and humble as well as the talented and caring staff in Preschool 1. They truly feel like extended members of our family, you can tell they really do love what they do. We feel very blessed that our daughter is taught and cared for by such warm and caring individuals." "My child started at Preschool Canada over a year ago, we are confident in the decision we made. The educators have been wonderful and welcoming to our little boy. We recommend Preschool Canada to all our friends." "Amazing place to be involved in! Great families great staff and great environment!" "After extensively researching daycares in the area, I am extremely happy with my family's choice to place our infant into the care of Preschool Canada. What could have been a difficult transition for my baby ended up being very smooth, thanks to the caring staff in the Infant Room. It's a huge relief to return to work knowing that my child is healthy, happy, and well cared for in such a loving environment. I highly recommend Preschool Canada."